My dad gave me the above wallet, my first, on my 11th birthday. It has served me well for nearly a quarter century, and I always figured I would keep it around for my entire life. It has died many deaths, and each time I have resurrected it with a fresh coat of duct tape. Now what was once entirely leather is now 95 percent shiny tape. That wallet was always a point of pride for me. Many were disgusted or impressed by it. Some tried to pretend they were ignoring it, but their feigned politeness couldn't disguise their awe or befuddlement. 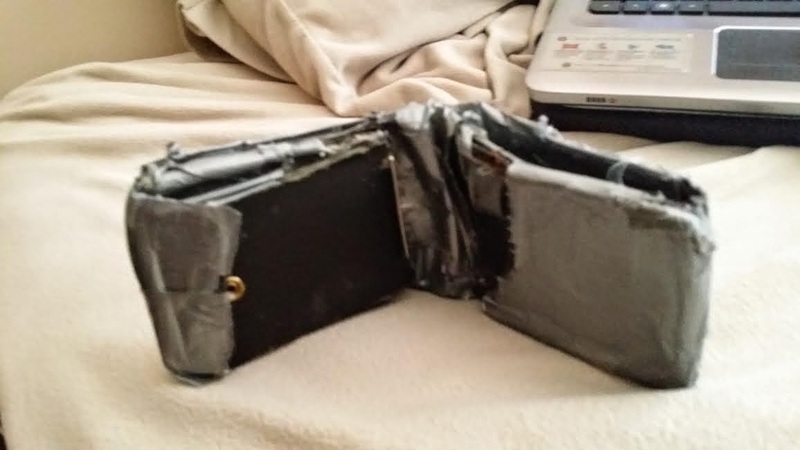 Most pitied me for using such a homeless-looking billfold, while the select few admired my dedication to it and no doubt wistfully thought back to their favorite wallet from childhood, wondering what might have been had they taken the time and care to tape it together rather than toss it in the garbage. My first instinct was to pack it away back where I found it, reconfining it to a cardboard prison indefinitely. But I couldn't manage the task. Before I could muster any doubt, I stripped the old warhorse of all its credit, debit, gift and rewards cards, as well as its childishly tiny amount of cash within, and stuffed it into its successor. I considered keeping the old wallet around, but decided to dignify it by tossing it into the garbage. Someday, I gotta believe, it will make an excellent nest for a landfill rat or pack of baby scorpions. 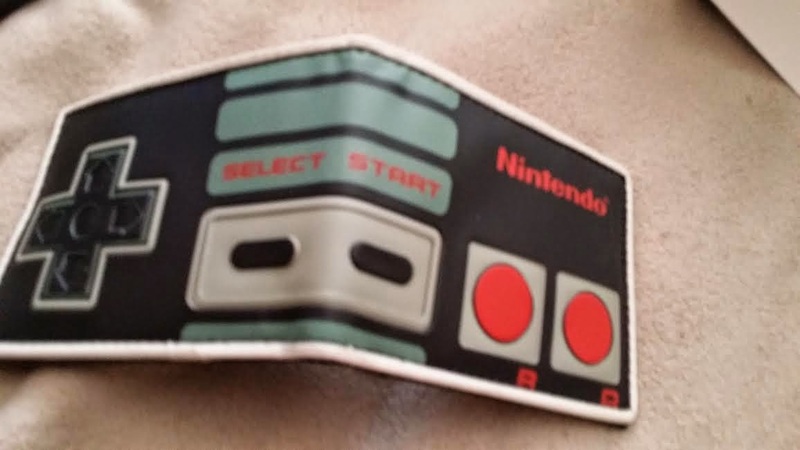 The smug "new" Nintendo wallet, which I no doubt acquired more than a decade ago by some means now forgotten -- most likely it was one of the many given to me over the years by those hoping I would get rid of my ugly duct-taped one -- will be discarded once it shows significant signs of wear. There is no sentimental attachment to this one, so I will have no reason to keep its corpse glued together like the previous one. I will now get new wallets every couple years rather than cling to my old one. Now I am just like everyone else. Except for the fact that my wallet, still, is more awesome than everyone else's.